Continuing on from a previous post discussing how it's great to discover new brands (whether they be brand spanking new or simply just new to yourself), I have another one to show you all today! Hifas da Terra is the brainchild of biologist Catalina Fernández de Ana Portela. Combining innovation with tradition, they create high quality medicinal mushroom products to look after your entire family. Due to Catalina's passion in this area, she has won numerous awards. The company dedicates its time to educating people about the power of mushrooms and their different health benefits. In addition to vitamins, food and accessories, Hifas da Terra have a range of skincare that uses the healing benefits of mushrooms to provide you with beautiful, balanced skin. The mushrooms that they cultivate are all high end and are grown in the natural environment under the ancient chestnut forests of Galicia in North West Spain. These natural, raw ingredients are then used in their different products so that we can all reap the healing benefits of mushrooms. The product that I have to show you all today is their Mico-Soap. There are different varieties to address different skin concerns, but I have the Reishi, Calendula and Lemon soap for regenerating and soothing the skin. It is also said to be particularly great for acne and hormonally imbalanced skin. The soap is the first part of the Hifas da Terra three-step ritual which is followed up with the Mico-Serum and Mico-Lift. 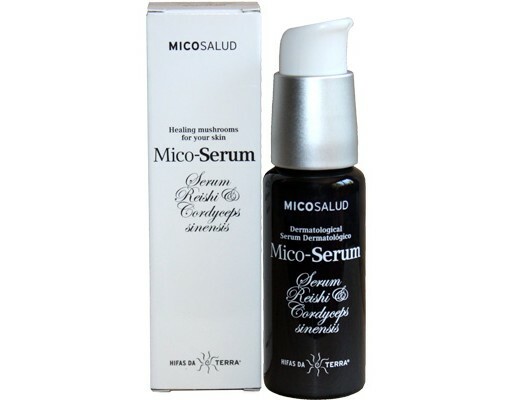 I also have a couple of sachets of the Mico-Serum which I'll be touching on briefly in the review. It is 100% natural and is free of sulphates, DEAs, parabens, carbomers, petrochemicals, phthalates and synthetic dyes. It is also not tested on animals. It comes as a bar soap that is a light brown in colour with mushrooms throughout it. The bar is then packaged in a white and green box with the product information and instructions around it. There is also a little mushroom shaped window on the front of the box to see the product inside. Like with other bar or block face washes, I cut a small block off at a time to use rather than using the entire block at once. This usually makes it a little easier to use as well as preserving the rest as each time it gets wet it will reduce in size. It's up to you if you choose to rub the soap against wet skin or between wet hands first, but you'll probably prefer foaming it up in your hands to apply to the face as the bits inside of it can become scratchy and therefore uncomfortable when rubbed directly on the face. Either way works just as well though! You'll probably be wondering if the Mico-Soap has a mushroom type of scent to it, but it actually smells like lemon. I imagine that the scent will differ between the different soaps though depending on what extra ingredients are added. It's really simple to use and it foams up easily and creates a nice, thick lather. Because of this, you barely need any soap to cover the face and that means that this soap will last you months. Nice! After massaging it into the skin and rinsing, you notice some instant results. The skin feels clean and firm, but not dehydrated or tight. The skin is matte and pores also appear smaller. In addition, your skin feels super soft and rejuvenated. It's like a little miracle soap that deals with a hundred issues in one! Like I've said in other posts, when products mattify the skin, they don't always last for the long-haul. I'm glad to say though that this one does. It truly keeps oily skin at bay without making the skin dehydrated. In addition to the Mico-Soap, I also have some sachet samples of the Mico-Serum, a powerful anti-ageing serum that is rich in organic Reishi and Cordyceps extract which work together to improve firmness, elasticity and softening expression lines. Whilst I haven't been testing it out long enough to give any feedback on the long-term results, I've been really enjoying it so far. It absorbs into the skin quickly and a little goes a long way. I've already noticed some early results too with firmness and brightness, so it so far seems that the Mico-Soap is not a one-hit-wonder in this line. Do I recommend the Mico-Soap? 100 million percent. This is one of the best facial washes I've tried yet and I've used a lot of them in my time. If you are still on the hunt for your new favourite face wash, you need to stop by Hifas da Terra. 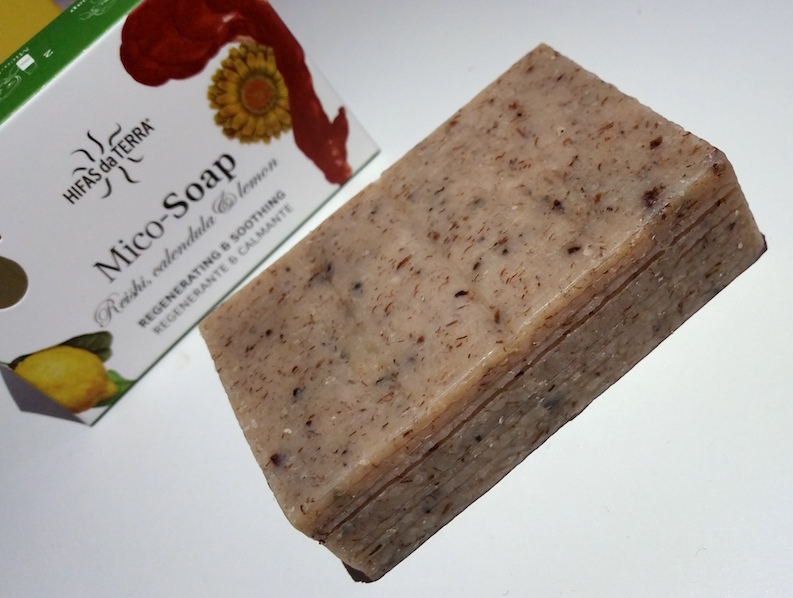 Not only is the Mico-Soap fantastic, but it is super affordable AND will last you a long time. I have to say a massive thank you to Hifas da Terra to introducing me to this wonder product. 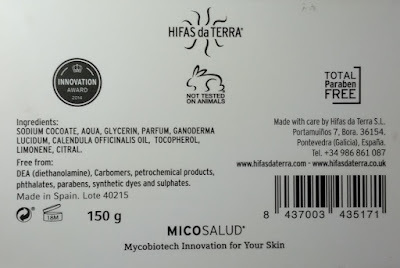 You can purchase the Hifas da Terra Mico-Soap for £8.50/150g from Hifas da Terra. 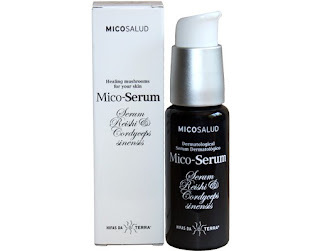 If you're interested in the Mico-Serum, you can purchase it for £89.60/50ml here. 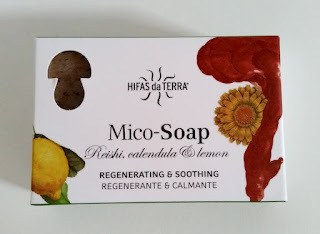 What are your thoughts on the Hifas da Terra Mico-Soap? What is your favourite face wash? Let me now in the comments below!